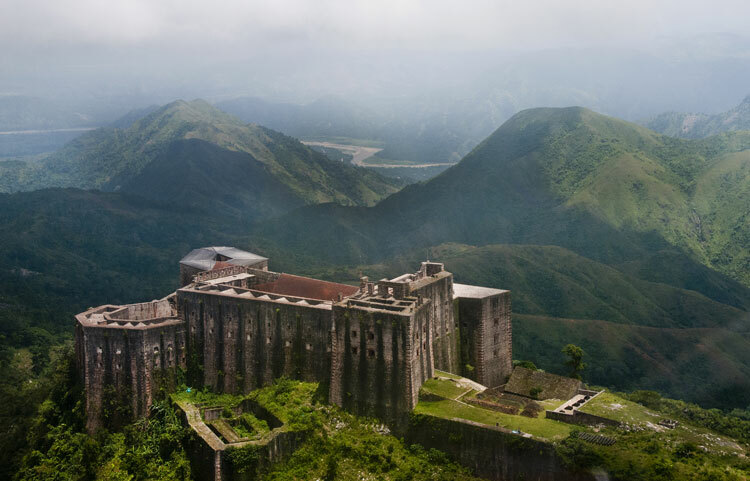 The Citadelle Laferrière is a mountain top fortress, located on the northern coast of Haiti - on the top of mountain "Bonnet a L’ Eveque." 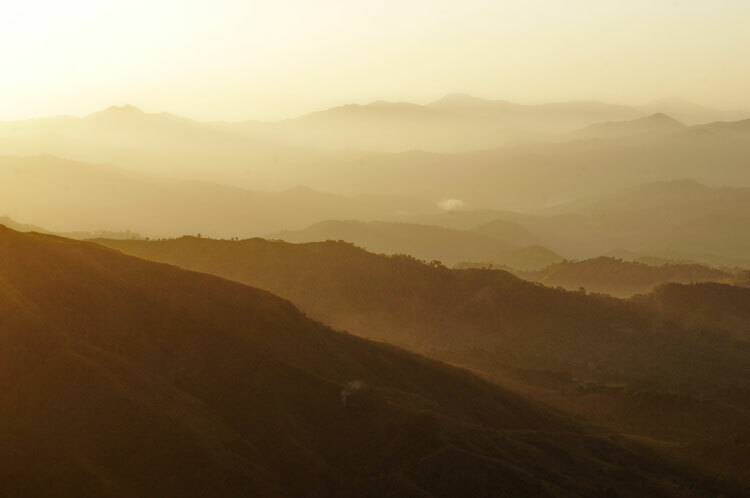 The fortress has an angular structure, thanks to which its appearance has different forms based on the viewer’s location. Some of the angles have protective character and were designed to deviate the enemy’s cannonballs. 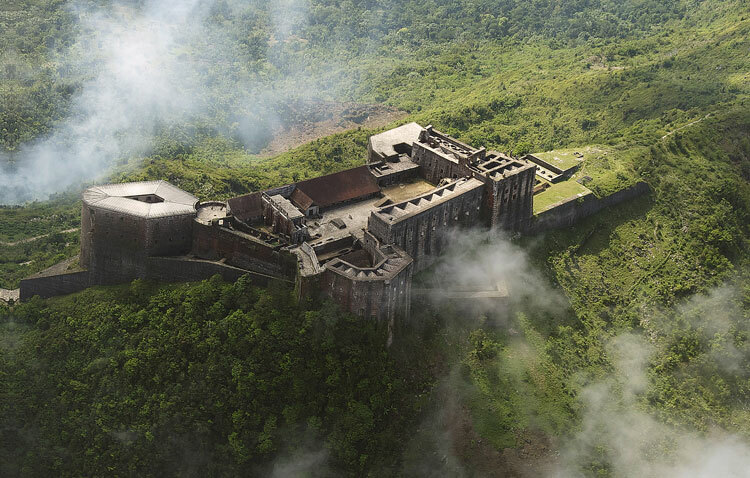 This mountaintop fortress includes fortification walls, large storage of food and water, royal mansions, dungeons, bathing quarters, etc. Most of the parts of the fortress have no roofs.